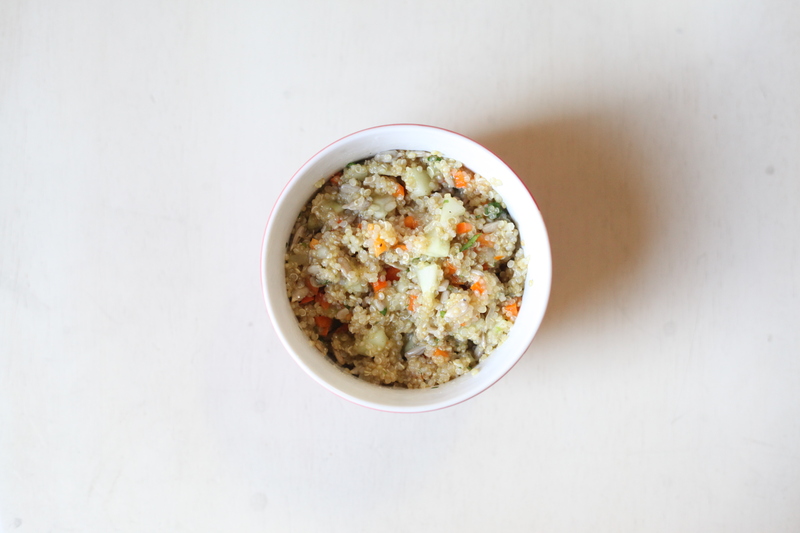 Have you ever had quinoa salad? No. Why not? It’s the easiest thing ever. And the end result is the best thing ever. So there is no reason to not go right now in to the supermarket and pick up these ingredients. Like right now! I’ll admit, I’m new to the scene of what is quinoa and quinoa salad. But I’ve been on board after finding it’s delicious and nutritious too. I tried quinoa salad at my mom’s birthday lunch this year. She got it because she knew I wouldn’t be able to eat most of the food there. I’m so glad she did. It became the inspiration of this post. I looked at the ingredients and knew I could make my own version of this. If you like lime this is the recipe for you. If not, just choose another vinegary dressing to mix your salad in. Chopped: tomatoes, beans, non gmo corn, or any other crunchy yumminess you can think of. Cook quinoa as you normally would on the stove. 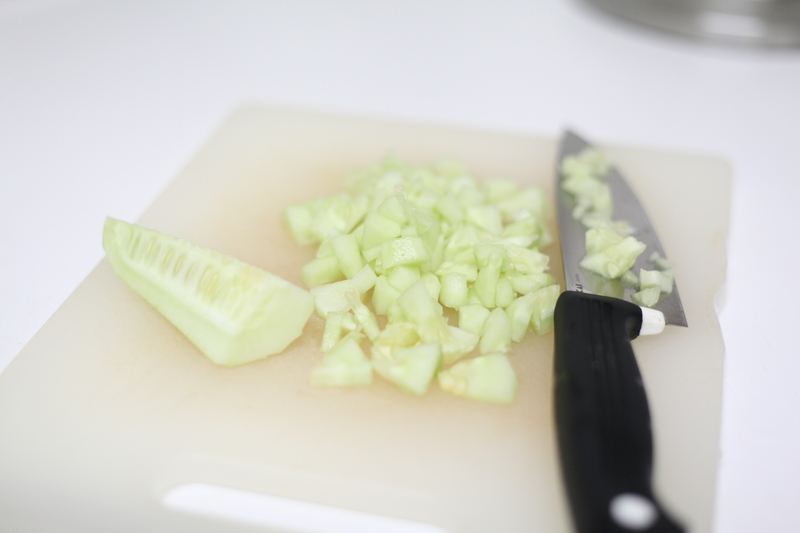 In the meantime, chop cucumbers, bell pepper, onions, almonds, onions, and cilantro into tiny pieces. Put aside. 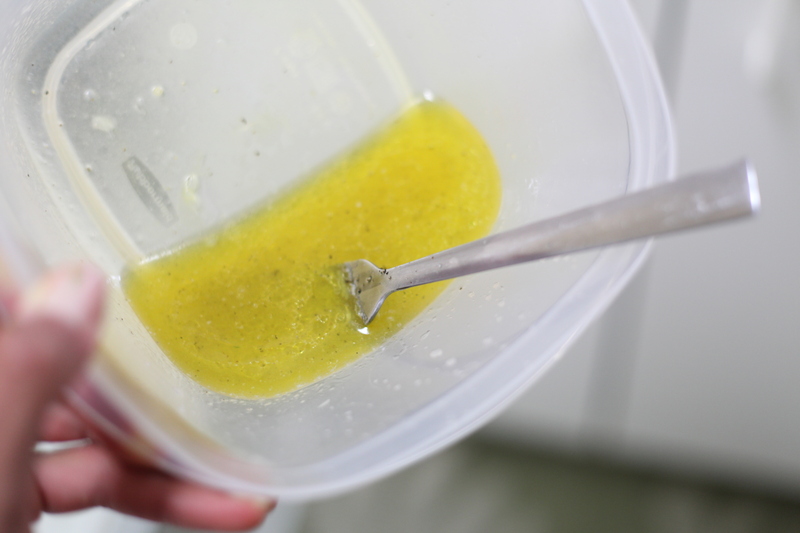 Squeeze lime and add equal part of olive oil. Salt and pepper the dressing to taste. Once quinoa cooks, remove from fire and spread on a plate to cool. 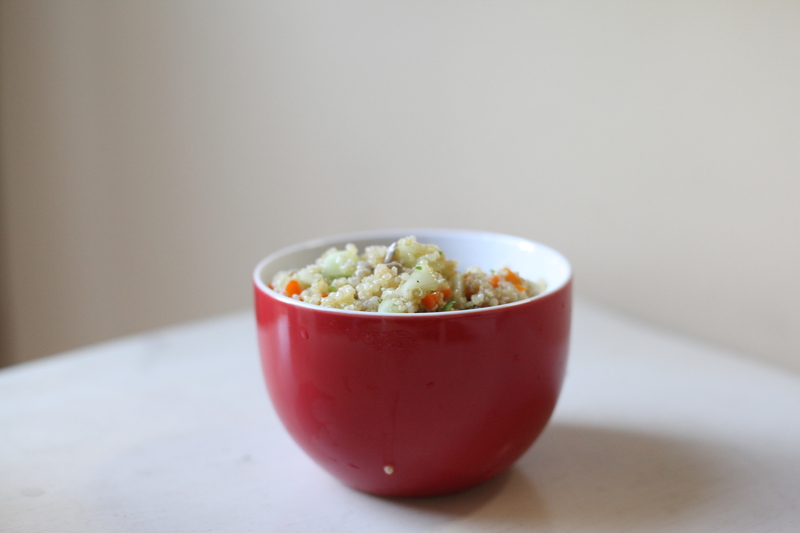 When quinoa is at room temperature (this happens quickly) mix with all ingredients in a large bowl. 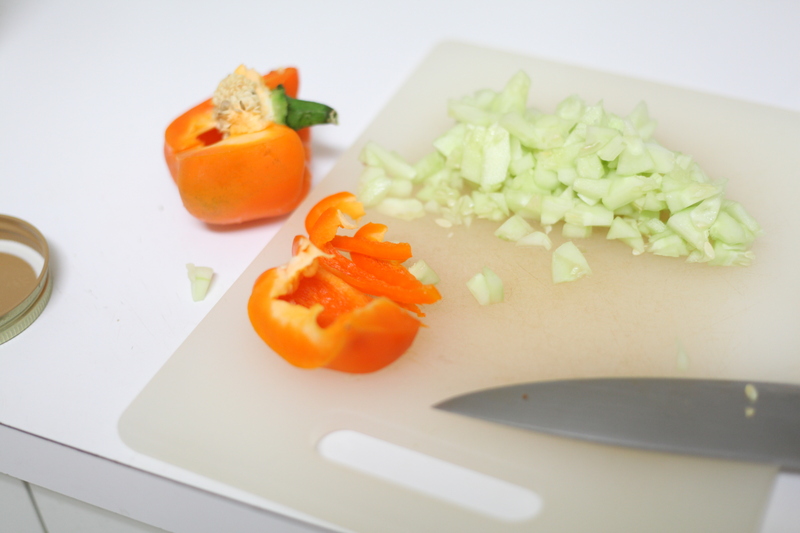 You can let it cool and marinate in the fridge or eat it just like that. I love lime so this dressing worked for me. You may or may not want to change that. The choice is yours and you won’t hurt the taste if you do. I would probably just not add a creamy dressing because it would mess with the flavor. The fiber and protein in this little grain is enough to always have it on hand. I love that it’s gluten free. But the flavor is really cool too. It fills you up in a non-guilty way. It’s just awesome. Pair it with some chicken if you must but why ruin a good thing. You might as well add some more vegetables as a side and enjoy a light meal. I don’t think you’ll be hungry after this.